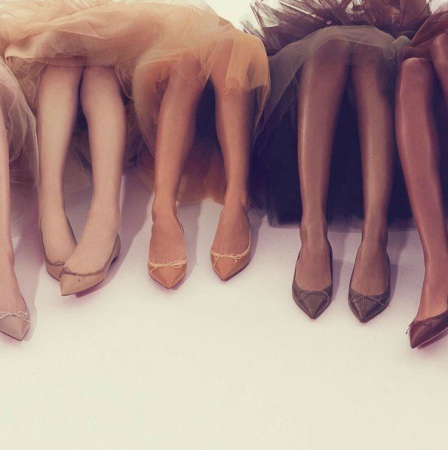 In 2013, Christian Louboutin originally launched his ‘Nudes’ collection for Louboutinworld in five shades that correspond with the skin tones of real women, whether pale or dark. Since then, the shoe designer has included two new shades and spring-summer 2016 introduced a new style with the ballet flat, Solasofia. While the upper of the shoe appears straight forward, it’s actually made of soft and buttery napa leather. The material mimics the feeling of skin with the a red-bottomed sole. Not only is the shoe perfectly dainty and embellished with a thin little bow but it comes in a range of shades from pale ‘Lea Nue’ #1 to deep ‘Toudou’ #7, there really is a shade for every women. For more on Louis Vuitton click here.